Jeff is the Chief Architect for Electric Grid Transformation at the Pacific Northwest National Laboratory. 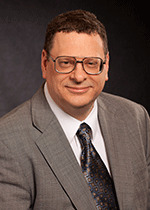 As a member of the Energy and Environment Directorate, he is responsible for development and articulation of large scale architecture for grid modernization, as well as support of many cross-cutting activities at the Laboratory, including the Future Power Grid Initiative, advanced computing, and the Control of Complex Systems Initiative. He began working in the grid modernization area in 2001 and has held smart grid chief architect roles with Cisco, Accenture, and IBM. Jeff formerly worked for Westinghouse and has participated in several key smart grid projects since he first began to develop sensor architectures and analytics for distribution grids, and then became involved in the larger issues of end-to-end grid integration and control. Jeff earned a PhD in Electrical Engineering from the University of Pittsburgh with a dual specialization in digital signal processing and digital control systems in 1986. He is a member of the IEEE Power and Energy Society, is an emeritus member of the GridWise Architecture Council and is the holder of 27 patents in control systems, signal processing, and grid modernization. Taft J.D. 2016. Grid Architecture 2. PNL-24044 2. Richland, WA: Pacific Northwest National Laboratory. Taft J.D., and P. De Martini. 2016. Sensing and Measurement Architecture for Grid Modernization. PNNL-25249. Richland, WA: Pacific Northwest National Laboratory. De Martini P., and J.D. Taft. 2015. Value Creation Through Integrated Networks and Convergence. PNNL-24152. Richland, WA: Pacific Northwest National Laboratory. Taft J.D., and A.S. Becker-Dippmann. 2015. Grid Architecture. PNNL-24044. Richland, WA: Pacific Northwest National Laboratory. Taft J.D., and A.S. Becker-Dippmann. 2015. The Emerging Interdependence of the Electric Power Grid & Information and Communication Technology. PNNL-24643. Richland, WA: Pacific Northwest National Laboratory. Taft J.D., P. De Martini, and L. Kristov. 2015. A Reference Model for Distribution Grid Control in the 21st Century. PNNL-24463. Richland, WA: Pacific Northwest National Laboratory.